Fused outer and inner elements prevent dirt and grime from being lodged between layer which can be a problem with inferior two-piece air filter designs. Trapped particles can restrict airflow and if dirt works its way into your engine… a pinhead-sized granule will gouge your cylinder, piston, and rings like a bullet. 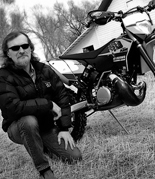 Ensure maximum contact with your air box with Twin Air’s air filters for Husaberg. 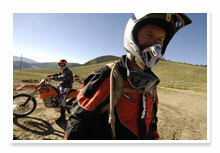 A thick, soft-foam sealing ring provides maximum contact with your airbox, even in the worst riding conditions. The sealing ring acts as a breathable gasket allowing air passage while restricting dirt and dust. Whether you are riding through the woods, across the wide open desert, or at your favorite track, you can depend on Twin Air providing your engine with lots of clean air. If Twin Air can’t keep your engine clean, no other filter can!